Nepal Sales Mission 2019, an eight-city event, is underway and will run up till February 1, 2019, in Lucknow, Agra, Jaipur, Bhopal, Indore, Kochi, Coimbatore and Madurai. 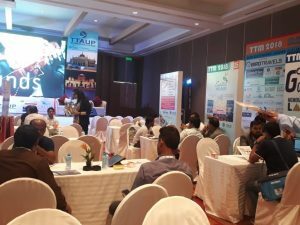 The Mission aims to bring all travel trade partners together to update them about Destination Nepal, educate them on what the country has to offer that will be of great interest to their Indian clientele and allow them to explore opportunities that lie within. 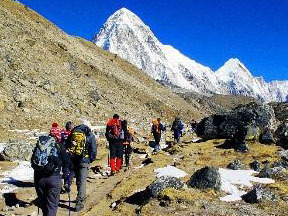 Nepal recorded a growth of 25.1 per cent in visitor arrivals from India in 2017, attaining a remarkable surge over the previous year. In Lucknow, the Mission will be held at Hyatt Regency on January 10. It will then proceed to Agra on January 12 to be held at the Clarks Shiraz hotel, followed by Jaipur on January 14 at Hotel Crowne Plaza. 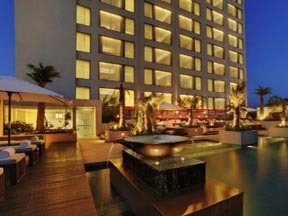 Marriott Hotels in Bhopal, Indore and Kochi will host the Sales Mission on January 21, 22 and 28, respectively. It will proceed to Coimbatore on January 30 to be held at Le Méridien Hotel and conclude in Madurai on February 1 at the Poppys Hotel. The Nepalese delegation is looking forward to interacting with over 80 agents from each of the eight cities, where participants include destination specialists, fence sitters, and other key trade partners. Nepal Sales Mission 2019 will witness participation from several private players from Nepal, including Apoorva Tours & Travels, Kathmandu Holiday Tours & Travels, Fishtail Tours & Travels, Heritage Tours & Travels and Outdoor Expeditions. 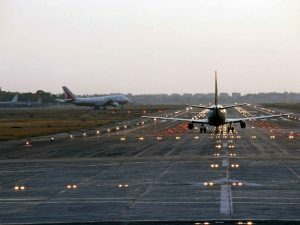 GVK Mumbai International Airport Limited (MIAL), the company that administers the Chhatrapati Shivaji International Airport (CSIA) has introduced another initiative to enhance passenger experience at the airport premises. Passengers can now use extended check-in facility that will be available at the hotels in Mumbai. This facility is presently introduced at hotels like Sahara Star, Hyatt Regency, Taj Santacruz, ITC Maratha, Hilton Mumbai International Airport and LaLiT so far. This facility can be used by anyone who has the access to these hotels. By the use of this facility, passengers will be able to save on time and have a stress-free experience at the airport. GVK Mumbai Airport also has equipped Terminals with various self-service check-in facilities. CSIA is the pioneer to introduce facilities like check-in kiosks, generating boarding pass through CUSS, generating Baggage tag through CUSS, and use of self bag drop facility for a faster check-in experience. All the airlines operating out of Terminal 1 of CSIA are now on SBD (self-bag drop facility) making Terminal 1 the only terminal in the country to have a fully automated check in system. The integration of new technology allows the processing of a significant number of passengers to be decentralised from the airport and allows for better use of airport resources. In a bid to enhance customer experience, Hyatt Amritsar has rebranded itself as Hyatt Regency Hotel. The property, which was established in 2013, offers a full range of services and amenities – remarkable restaurants and bars; technology-enabled ways to collaborate with associates; and space to work, engage and relax. Featuring 248 adorned rooms (including 10 Regency Suites), Hotel Hyatt Regency is the idyllic holiday retreat to unwind at. The culinary professionals of Hyatt Regency Amritsar take visitors on a gastronomic expedition not just to the different nooks and crannies of the country but also to the different cities of the world with their numerous eclectic recipes. Hyatt Regency Amritsar is ideal for all sorts of events, both social and corporate. Keeping up with the brand’s identity, Hyatt Regency Amritsar has exclusive facilities for rejuvenation in the form of a spa, a fitness centre and a swimming pool. The beautifully appointed spa rooms offer the perfect ambience to unwind and destress. The facility equips a total of eight rooms that are divided into two Ayurvedic Therapy Rooms, four Western Therapy Rooms, one Couple Therapy Room and one Oriental Therapy Room. Chairman of Nijhawan Group, Sham Nijhawan, has won the prestigious Gallery of Legends award at the third North India Travel Awards, held at Hyatt Regency, Gurgaon on October 21, 2016. A chartered accountant by profession, he entered the travel industry in 1974, as British Airways’ GSA in North India. His persistent efforts and exemplary marketing technique saw him grow his territory of work from the northern region to the whole of India. Today, under his guidance the Nijhawan Group successfully runs Travel Boutique, India’s largest online B2B player active in 55 countries, besides retail business of franchise, catering business and air charter business. 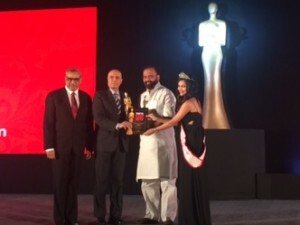 Parvez Dewan, Advisor to the Governor of Jammu and Kashmir, was awarded Legend in Public Service at the third North India Travel Awards, held at Hyatt Regency, Gurgaon on October 21, 2016. Dewan has held many coveted posts like Chairman and Managing Director of ITDC, Secretary to the Govt. of India, Ministry of Overseas Indian Affairs and most importantly, Secretary Tourism, where he has many firsts to his credit. Dewan has authored over 26 books. 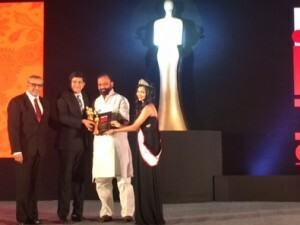 The third edition of North India Travel Awards felicitated achievers in the travel and tourism industry of the region during a glittering ceremony held at Hyatt Regency, Gurgaon on October 21, 2016. 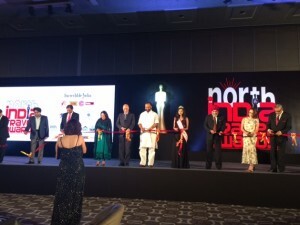 The Chief Guest for the event, Om Prakash Singh, Tourism Minister, Uttar Pradesh Government, inaugurated the event along with other dignitaries in the presence of the who’s who of the travel industry from North India. The North India Travel Awards salutes the best in the industry and awardees are selected based on a non-biased system of voting.